In 1990, Voyager 1 captured the most distant portrait of our planet ever taken, revealing that from beyond Pluto’s orbit, Earth appears as nothing more than a “pale blue dot.” In a new study, researchers have tested whether Earth’s color is a unique feature of life-friendly planets. 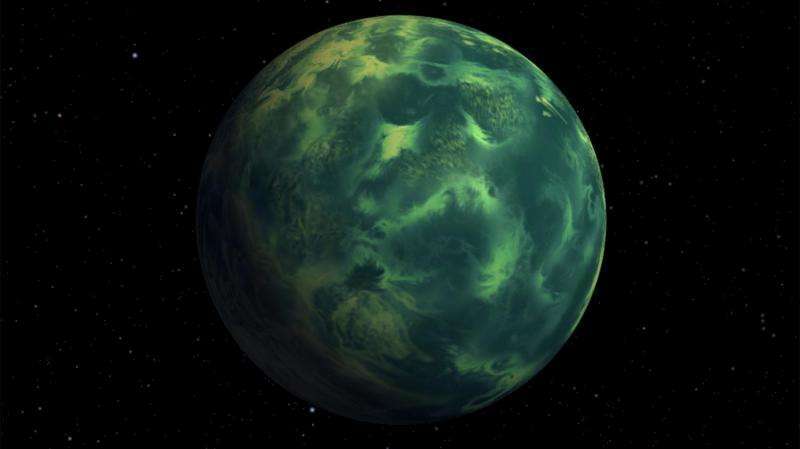 If so, searching for exoplanets displaying this hue could help in singling out worlds potentially brimming with alien life. As it turns out, Earth’s delicate color can be closely mimicked by hypothetical exoplanet types that are completely uninhabitable. A broader portion of Earth’s overall spectrum, however, does display a subtle signature only attributable, insofar as we know, to life. Seeking this signature from pale blue worlds in stars’ habitable zones with future telescopes could be a powerful tool for identifying worlds deserving of intense further scrutiny. The study, published in The Astrophysical Journal, was funded by the NASA Astrobiology Institute’s Virtual Planetary Laboratory (VPL). Paper co-author David Catling is an awardee of the Habitable Worlds program. Nitrogen, the overwhelming component of Earth’s atmosphere, is transparent. An atmosphere that is clear to visible light preferentially scatters short wavelength, bluer light, as opposed to longer wavelength, redder light. As a result of this so-called Rayleigh scattering, blue light appears to come from all directions, and presto: the sky looks blue, as do the oceans (water is colorless). The blue light scatters into space as well, and thus to external observers. Earth’s white clouds boost reflectivity at all wavelengths, diluting the intensity of the Rayleigh scattering. Some red light also mixes into Earth’s color palette as it’s reflected by the continental land masses. That redness bends Earth’s overall color viewed from afar more toward the light blue than, say, the rich azure of Neptune, whose atmosphere’s high methane levels absorb red and reflect blue. Meanwhile, the oxygen in our air chemically reacts with many types of molecules that would otherwise form an opaque haze. Such atmospheric haze is evident in the visages of Venus, Jupiter, Saturn, and Saturn’s moon Titan. 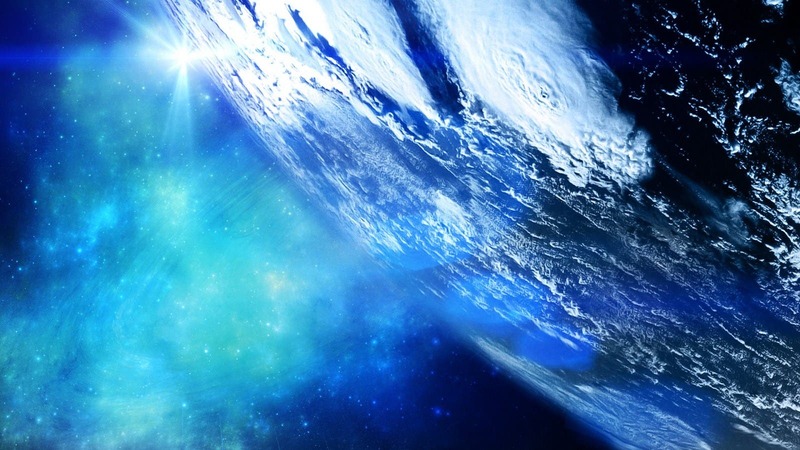 Earth’s free oxygen would not exist were it not for our planet’s teeming plant and microbial life, which constantly replenish it through the process of photosynthesis. “We set about trying to quantify Earth’s color and compared it to that of other planets that were not habitable,” said Krissansen-Totton. The study’s catalog included a goodly number of theoretical worlds’ spectra, from many of our solar system’s planets and moons with simulated atmospheres of varying thicknesses, to gas- and ice giant exoplanets, as well as sub-Neptune-sized worlds with hydrogen-dominated or thick, water-steam envelopes. Several types of worlds, the analysis showed, could trick astronomers into thinking they were perhaps habitable by aping Earth’s special hue. The ruse could even be pulled off by planets like ancient versions of Mars, now a rusty red but once wet and warm. Its up-down-up shape derives from the very features that make Earth a pale blue dot in the first place: Rayleigh scattering in the bluer portion of the spectrum; some absorption in the greener portion because of the ozone in our atmosphere, which like the oxygen we breathe would not exist without life; and finally red light, again owing to continental reflectance, but also from the Earth’s widespread vegetation that reflects strongly in infrared. These true blue dots would be prime candidates for intensive additional study, including spectroscopy, which analyzes spectra for “fingerprints” imparted by molecules in an atmosphere.